Recent L&D Reports in corporate training state that only a third of business organizations feel as if their training programs meet expected results. And this means that over 60% of the organizations fail to generate any significant return on investment from the training they provide to employees and partners. Try to integrate as much tech as possible into the development of your training program. This will allow you to streamline processes and reduce costs. For example, you can scale instructional design by using automated software to do the administrative tasks like managing inbound training requests, conducting a needs analysis, crowdsourcing training content with subject matter experts, etc. Doing so will enable you to focus on other important aspects of your training projects to get better results at scale rather than wasting time and hand-holding projects one at a time. Be sure to follow up with learners after you deliver each training session. Usually, employees and partners tend to forget about the training they attended and move on without applying the new skills or knowledge received. So, be sure to check-in and ask them how they have benefited from the training, what can be done to improve performance, and so on. With newer technologies, feedback loops can be captured digitally, and the employee or partner’s feedback can be used to strengthen your training material. When designing training content, ensure that you layout content as modules and in the correct order they should be taught. Your content should align to learning objectives which link back to performance, learner, or business needs. As such, whenever a content update is needed, you can swap out one module for another and make edits quickly. Don’t just do the knowledge dump. Invest the time upfront to understand what you really need to teach and what content can build the right knowledge/skills. It will go a long way. 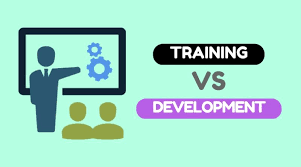 Want to learn how to automate and streamline your training development process? An excellent way to create and nurture a culture of learning is to teach your employees the benefits in sharing knowledge in the context of training material. Doing so will ensure that the organization has a workforce that is always teaching what they know and learning what they don’t. There are various ways to do this, including internal crowdsourcing campaigns to get subject matter experts to contribute to the design and development of training material. With newer software like Learning Design Systems (LDS), anyone can learn how to design training content and meet instructional design best practices without the handholding.